This stone house, restored farmhouse, very fresh in summer, is located on a hill in a quiet and green hamlet. 6 peersonnes ideal, possibility of a 7th person on a sofa bed in one of the rooms (dormitory). Is full exposure with a panoramic view of the valley. Located 3 Kms from St Geniès, typical village with slate roofs. 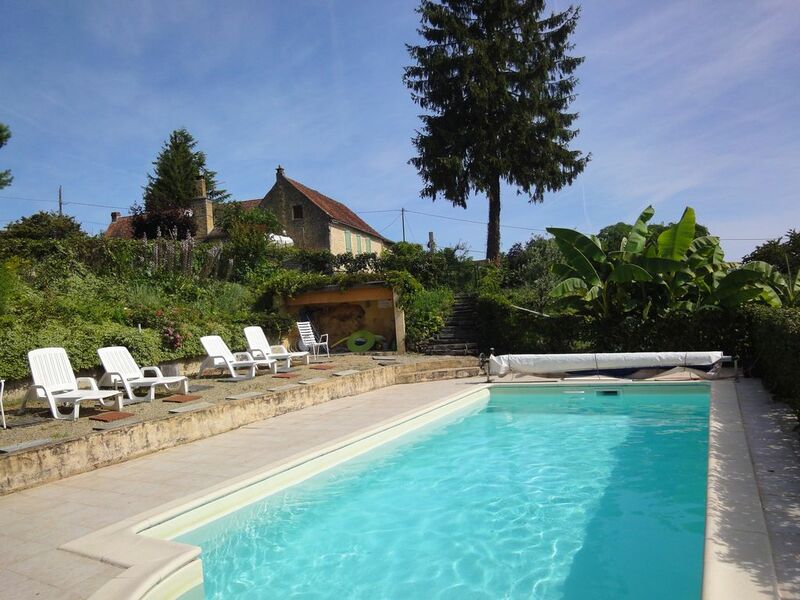 The property is located halfway between the valleys of the Vézère near the prehistoric sites Lascaux IV (10 km) and Les Eyzies, and the Dordogne valley with its castles. Sarlat (13 kms), superb medieval town is renowned for its summer activities and its gastronomy. You like walking and nature, many marked trails will make you discover through forests and countryside our beautiful area around the house. You will meet local producers to enjoy regional products. Pets are welcome outside the high season. - One animal: On request, with prior consent of the owner only. Little dog, well educated. Fenced terrace, -Non-fenced garden. For nature lovers and hikers, we organize hikes starting from the house or in the surroundings to make you discover our beautiful Black Périgord. In the triangle Sarlat (medieval) Montignac-Lascaux (Caves) and Les Eyzies (National Museum and caves of prehistory).